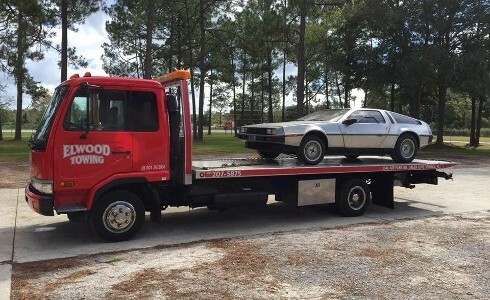 At Elwood Towing & Recovery located in Green Cove Springs, we provide dependable emergency towing Orange Park, Middleburg, Jacksonville, and surrounding areas. Whether you need immediate emergency towing or need to move equipment across town, we can handle all of your towing. We have damage-free flatbed towing and rear lift towing available. When you need affordable towing in Jacksonville, or throughout our service area, call Elwood Towing & Recovery. 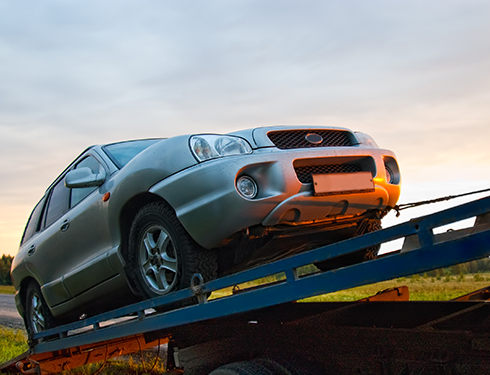 When your car breaks down or if you have been in an accident, we are just a phone call away for fast towing service. We have our emergency tow truck operators available 24 hours a day 7 days a week. Elwood Towing and recovery also provides roadside assistance, whether you are locked out of your car, have a flat tire, or need fuel delivered, we are available at anytime. If you have been involved in an accident or your car is stuck in a ditch, we provide recovery towing and off road recovery towing. Your safety is our highest priority, so you always know you are in good hands with Elwood Towing & Recovery. We know that after being involved in an accident that you have enough to worry about, so you can count on the best service with our affordable towing in Jacksonville and the surrounding areas. You can depend on us for fast and reliable recovery towing 24 hours a day/7 days a week in Duval County, Saint Johns County, and Clay County. Need to tow your vehicle out of state? Try out Long distance Towing. Jacksonville, & the surrounding areas contact us here.